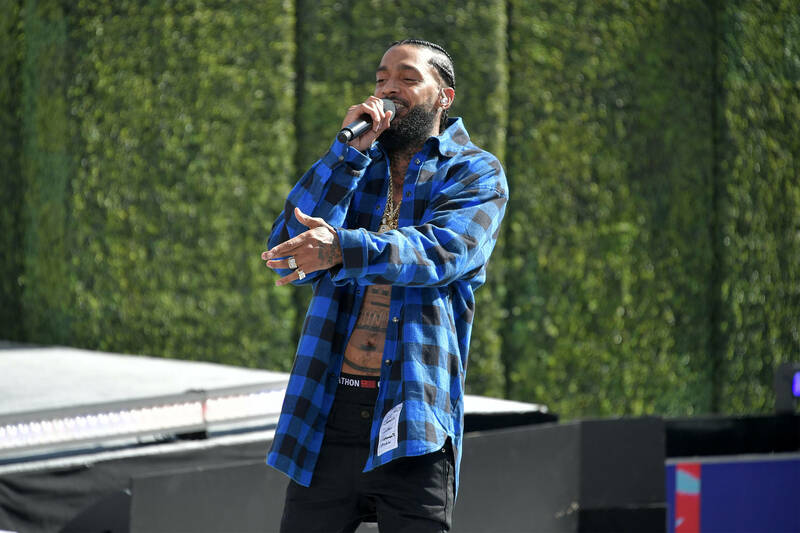 The profound impact of Nipsey Hussle's death continues to resonate, and many celebrities and musicians have issued statements in his honor. Beyonce is the latest to join the ranks, a testament to Hussle's impact as both an artist and a community leader. Taking to Instagram, Beyonce shared a childhood photograph of Nipsey, born Ermias Asghedom, along with her heartfelt condolences. "I’m praying with every ounce of my heart for your family. Rest In Peace, Nipsey," writes Beyonce, sharing the message with her 126 million followers and beyond. It's clear that Beyonce and Hussle were familiar with one another, as Hussle was a frequent ally of Jay-Z's Roc Nation label. In fact, the murdered rapper was scheduled to meet with Roc Nation representatives and LAPD, with the intention of speaking against gang violence in his community. Though he may be gone, Nipsey's memory will not be forgotten. His musical output, including 2018's Grammy-Nominated Victory Lap will live on, and his community efforts remain an integral part of his legacy. Hopefully, Nipsey's family can find a semblance of peace in this trying time. Rest in peace, Nip.